Put the flour, margarine, sugar, eggs, vanilla and water into a mixing bowl. Put spoonfuls of dough into base of paper cases. 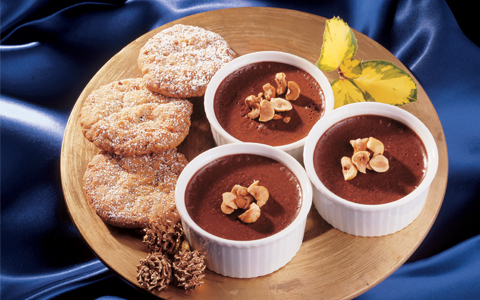 Drop teaspoons of nutella on top, then top with another spoon of dough. Bake for 20 to 25minutes until risen and springs back when gently pressed. Remove from oven and cool on a wire tray. 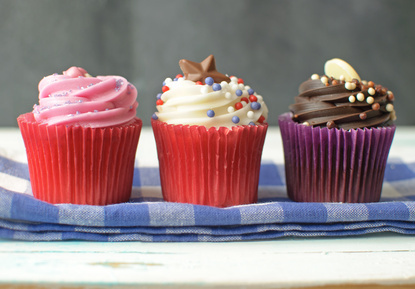 Meanwhile beat icing ingredients together and use to pipe or spread on top of cupcakes. 1. Preheat oven to 175°C/325°F/Gas 3. 2. Melt margarine and allow to cool. 4. Mix the egg, milk, marmalade and honey into the cooled margarine. 5. Now add the wet ingredients to the dry ones and mix to make a very soft mixture. 6. Spoon into muffin cases, making each case about two thirds full. 7. Bake for 20 – 30 minutes until golden brown and cooked through. 8. Cool on a wire tray. Gently mix all together with a fork until evenly combined, then, stir in the blueberries. Divide the mixture between the muffin tins. Sprinkle the brown sugar on top of each muffin, if used and bake for about 20 minutes. 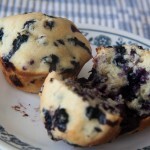 Allow muffins to cool in the tins then transfer to a wire tray to cool completely before serving. Break up the chocolate and place in the food processor. Heat the cream to almost boiling. Add to the chocolate. Buzz until chocolate has melted and the mixture is smooth. Add the egg and vanilla and buzz again until smooth. Pour into individual dishes and chill for at least 24 hours. Set oven at Gas Mark 4, 180°C (350°F). Cream the butter and sugar. Add the egg and vanilla. Stir in the flour, bread soda, baking powder and nuts. Line a baking sheet with non-stick paper. Place spoonfuls onto the sheet, leaving space between them. Bake for 7-8 minutes until golden brown. Remove from the baking sheet and leave to cool. Roll out lightly to 1” in thickness. Cut into scones with a cutter dipped in flour. Place on a floured pre-heated baking sheet/tray, glaze if liked with beaten egg or milk. Bake in a pre-heated oven 425°F/220°C/Gas 8 on upper shelf position for 10 mins. approx . 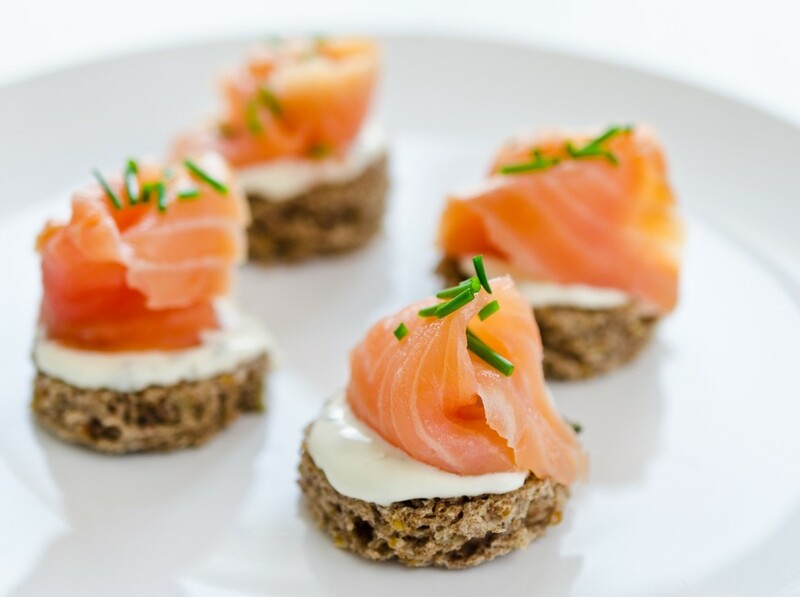 When Cool, Place Creme Fraiche, smoked salmon & a sprig of Dill for a really tasty healthy lunch alternative! Gently stir in remaining flour with a spoon. Place spoonfuls of the mixture into the baking cases and bake for 15 – 20 minutes until firm to the touch. Pipe or ‘swirl’ icing onto each cupcake. Top with sweet if liked! Preheat oven to 180°C/350°F/Gas 4. Lightly grease baking tray. Wrap tightly in cling film and refrigerate for about an hour. Then, lightly knead on a well floured surface. Roll out to about 10mm/quarter inch in thickness. Use a scone cutter or glass to cut out the cookies/shortbread. Place on the pre-heated tray and Put into the preheated oven and bake for about 10 minutes until just golden brown. Remove from oven, allow to ‘set’ on tin for about 5 minutes, then transfer to wire tray to cool.